You’ve decided to hop on the social media train and you’re ready to put together a solid real estate social media strategy. How do you start? Check out this infographic from Mashable. It lists 9 drivers of “world class brand sociability,” it also applies to social media for Realtors®. Create original content: reach out on a personal and professional level and use social media to showcase the voice of your business. Appeal to a mobile audience: Consider implementing a mobile-friendly website, check-in apps or proximity-based marketing. Build a consistent brand across all your social media platforms: Integrate your posts so that you have a consistent, recognizable business image across the Web. Plan it out: Set up a central organizer and make sure all social media marketing extends outward from that hub. By doing so, you will ensure you are presenting your business with a consistent voice at all times. Listen, engage and encourage fan feedback: Make sure your services reflect your customers’ needs. You’ll improve your service level and your company image at the same time! Pay attention to the number of contributors: Instead of always posting as “Company Name,” bring in some guests to share content. Build a real sense of community, not a one-way stream of information. Increase your recognition: As a REALTOR®, you may work locally, but don’t be afraid to reach out to larger audiences. With social networking, we are all interconnected so generating fans in a nearby town may lead to referrals within your market! Enlist outside support: The companies with the best responses to social media marketing hire outside specialists to manage and measure their campaigns. Z57 has marketing and social media training that can help you take your social presence to a new level! Pay attention to all posts: Make sure you are always putting your best face forward and that you trust any staff members you bring on board to contribute to your social presence. Enlisting outside help is one of the 9 greatest drivers of world class brand “sociability”! 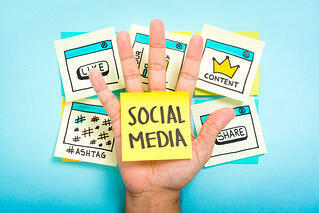 At Z57, we can help you take your social media marketing to the next level. Get started today—call or contact us to set up an appointment, and we’ll help you hit the ground running.